As 2019 kicks into full swing, most incentives are focused on health and fitness resolutions. While those are most certainly necessary, our homes need just as much attention. 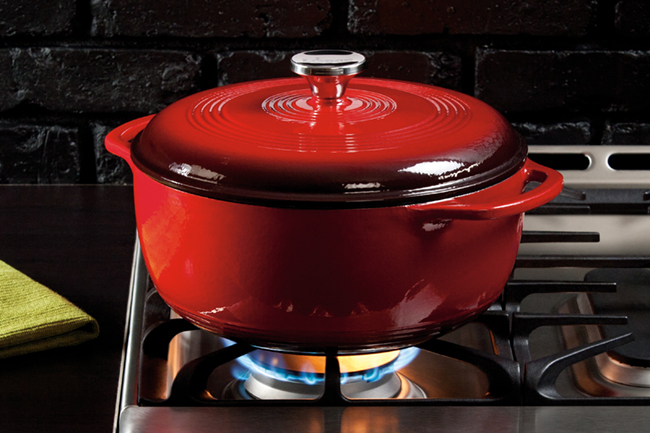 Turn to powerful home goods, like American family-owned and operated Lodge cast iron cookware. Their full product line offers the perfect selection of high-quality, durable cookware that can turn the average kitchen into a chef’s dream. Give your employees incentives and rewards that last a long time. For over a century, Lodge has produced durable, top-of-the-line cast iron products that take every day cooking to the next level. The 5-Qt. Cast Iron Dutch Oven maintains heat for efficiency and cooking control, and even better, it’s ready to use right out of the box. The 3.2-Qt. Cast Iron Combo Cooker provides powerful versatility. It’s a two-piece set that functions separately as a deep skillet and fryer. The pieces can be combined to form a Dutch oven, and the lid can even be used as a shallow skillet or griddle. Lodge’s Sportsman Grill is a charcoal, hibachi-style grill great for cooking on the go at tailgates, camping outings, picnics, and backyard patio get-togethers. In addition to the brand’s wide range of cast iron cookware, Lodge also offers top-quality enamel pieces like its 6-Qt. Dutch Oven. Plus, a variety of special bundles — like the Essential Skillet Set, the Gourmet Set and Essential Pan Set – provide every cooking tool a foodie needs to create delicious meals. Regardless of tastes, Lodge cast iron cookware will be an heirloom your customer or employee will hold onto for generations. This year at Incentive Concepts, we’re committed to our mantra – best gifts, better service. To bring this commitment to life, we’re proud to add two additional home goods brands to our selection of premium merchandise lines: Magic Chef and West Bend. These employee rewards are gifts your team members will want and will put to great use. Magic Chef has made cooking more enjoyable and efficient for 85 years. 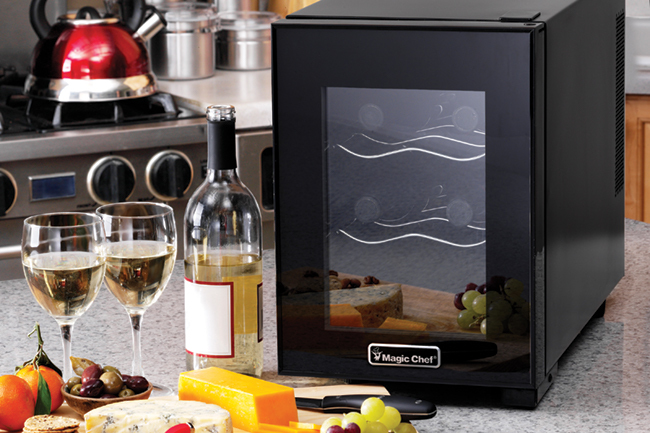 The brand wows with appliances like the 3-Tier Food Steamer, which enables healthy eating and multitasking all at once, and the 6-Bottle Wine Cooler, which features thermoelectric cooling and interior lighting. Explore additional dependable and easy-to-use kitchen essentials that help consumers simply their lives. West Bend has specialized in making food fun since 1911. 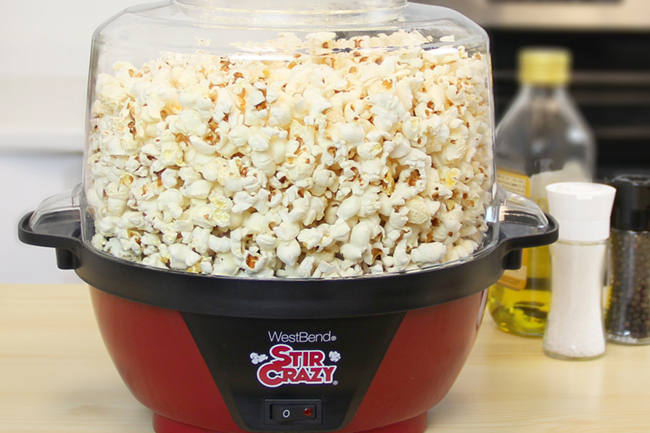 Bring deluxe popcorn to the kitchen at an affordable price with the 6-Qt. Stir Crazy Corn Popper, and make your own perfect ice cream or yogurt with the 4-Qt. Wooden Ice Cream Maker. Whether you’re baking homemade bread, blending smoothies or roasting a chicken, West Bend small appliances make your kitchen activities easier. All three brands – Lodge, Magic Chef and West Bend — offer unique, high-quality, long-lasting pieces that will be welcome additions in any kitchen. Call us today at 888-862-9283, sign up for our preferred pricing membership, or contact to start selecting the perfect houseware incentives for your team.